Most people walking around in the world don't NEED the crazy power that most of us have with our phones. Your Xbox One can make the Taco Bell "bong" noise at startup. Pokemon GO will be utilizing Health Kit and Google Fit to track your steps when the app isn't open. After the show remember to: Eat at Slice on Broadway (@Pgh_Slice) if you are in the Pittsburgh area! It is Awesome! (sliceonbroadway.com) Want to be part of our studio audience? Hit us up at awesomecast@sorgatronmedia.com and we’ll save you a seat! Join our AwesomeCast Facebook Group to see what we’re sharing and to join the discussion! Follow these awesome people on Twitter: Chilla (@chilla), Krause (@KrazyKrause), and Sorg (@Sorgatron) Have you seen our AwesomeTips videos? You can support the show at Patreon.com/awesomecast! Remember to check out our friends at the River’s Edge (@RiversEdgePGH) and The 405 Media (@The405Radio) who replay the show on their stream throughout the week! 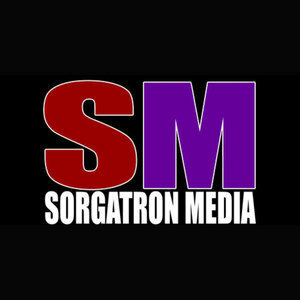 Also, check out sorgatronmedia.com and awesomecast.com for more entertainment; and view us livestreaming Tuesdays around 7:00 PM EST!